Expires 90 days after purchase. Limit 5 per person, may buy 2 additional as gifts. No booking required. Valid for dine-in and takeaway. Valid for option purchased only. Groupon prices are inclusive of VAT where applicable. E-voucher must be presented. See the rules that apply to all deals. 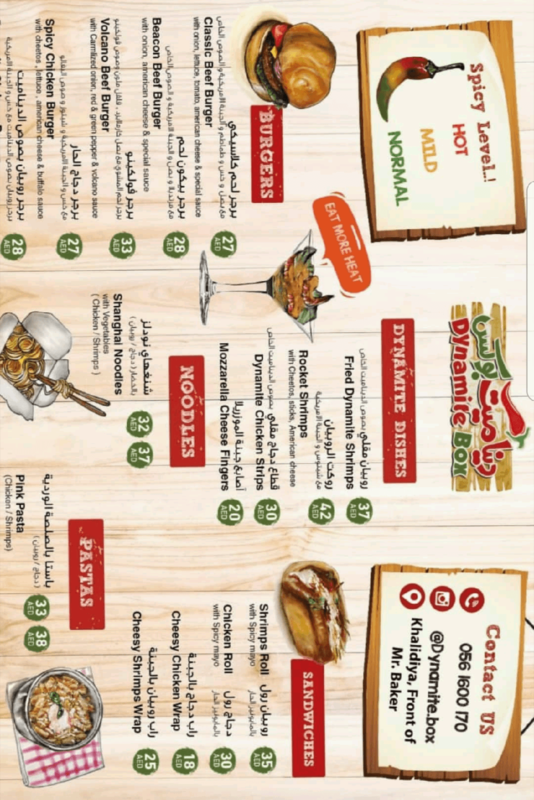 Dynamite Box Cafe offers a wide selection of sandwiches, burgers and pasta, as well as the restaurant's speciality dishes such as fried dynamite shrimps and chicken strips. Those with a sweet tooth may enjoy a choice of desserts that includes crêpes and milkshakes. 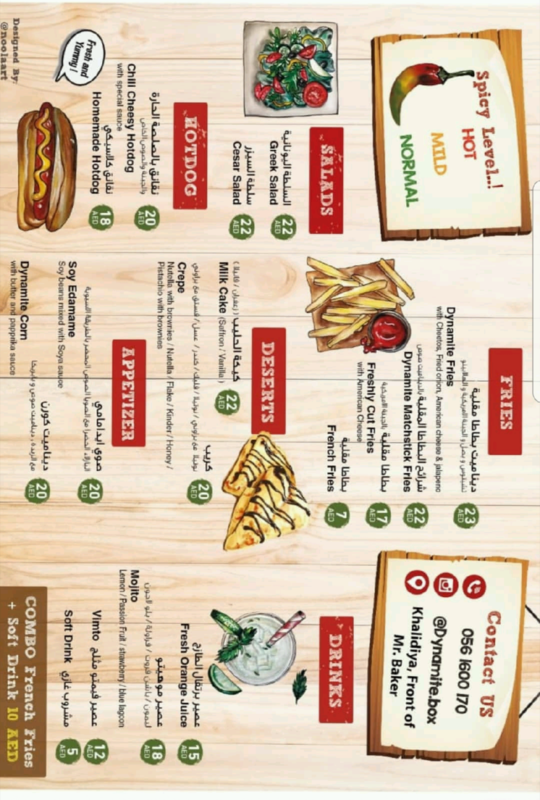 Delivery is available to Al Karamah, Al Etihad and Al Hosn.